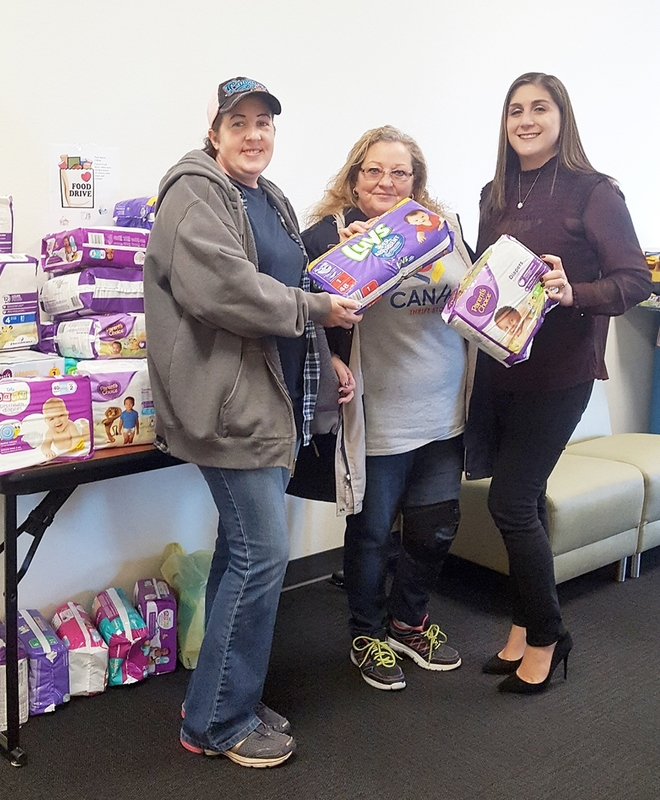 BLEND CLUB HELPS The Blend Club, a service organization on the PJC-Sulphur Springs Center campus, collected diapers for CANHELP in Sulphur Springs to fill a need during the Christmas season. Donations by students and faculty made the project a huge success. Blend Club member Nicky Cline, left, and club sponsor Instructor Mayra Cummings, right, presents the diapers to Joanne Allison from CANHELP.